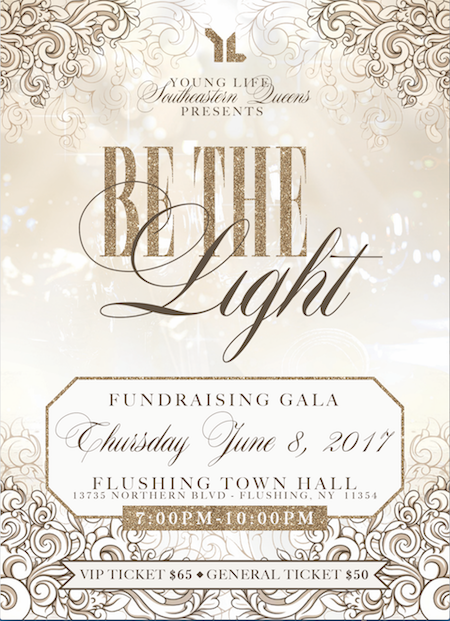 Young Life Southeastern Queens is pleased to present “Be The Light” — a fundraising gala. Integrity, Leadership and Our, Legacy." 96-43 Springfield Boulevard, Queens Village NY. 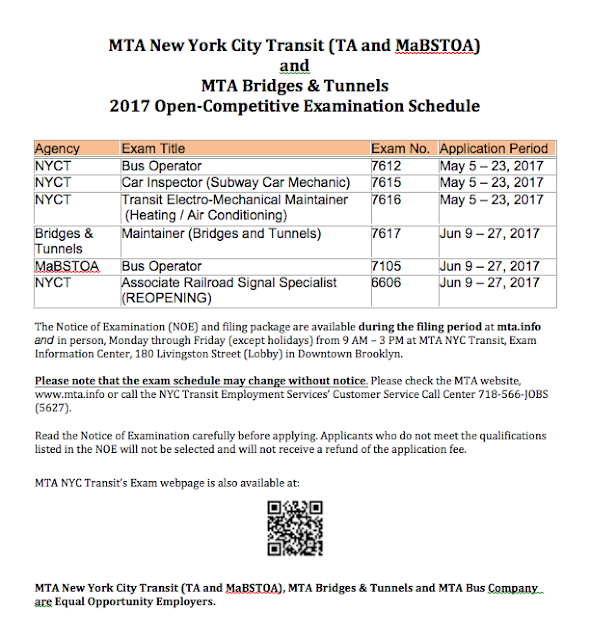 Are you ready to become a bus operator, subway car mechanic, or transit electro-mechanical maintainer? Then take note of the 2017 open-competitive examination schedule. Looking for a job? 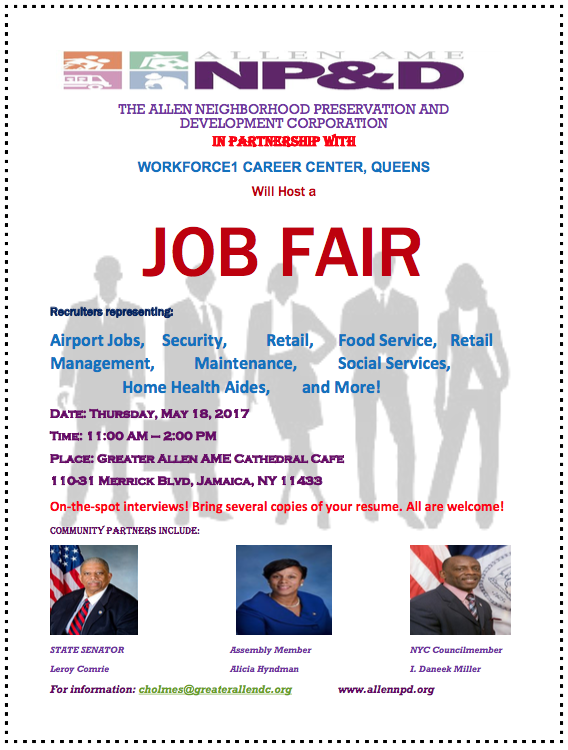 Then don’t miss the Allen AME Neighborhood Preservation and Development Corporation’s Job Fair. Airport, security, retail, food service, retail management, maintenance, social services, home health aide — and more — recruiters will be in the house. On-the-spot interviews! Bring several copies of your resume. All are welcome! Presented in partnership with Workforce1. Our communities are still making a come back from the recession. Come on out and apply for a job with decent benefits. Did you ever think about being an artist painting on canvass? Does the spirit of a great painter reside in you untapped? 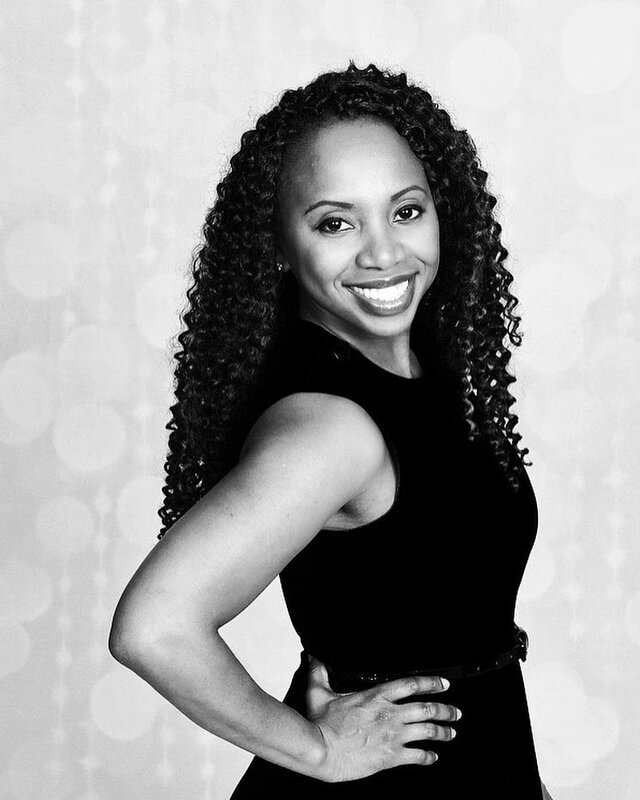 We have found a great event for you! Unlock your creativity at Geo's Sip and Paint Party. You'll learn to unlock your creative spirit before the party is done. With the purchase of your ticket you will have access to canvass, paint, brushes. You will receive wine and hors d'oeuvres. 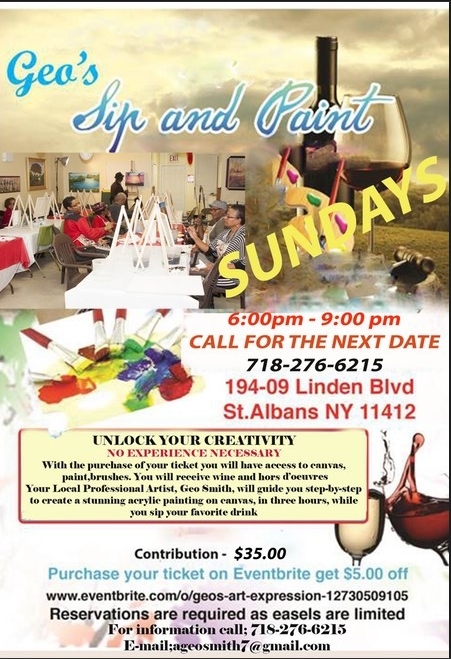 You local professional artist, Geo Smith, will guide you to step-by-step to create a stunning acrylic painting on canvas, in three hours while you sip your favorite drink. 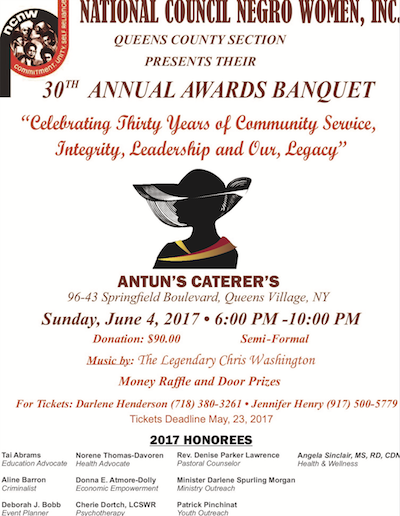 Sunday, May, 21st, 2017, 6:00 pm - 9:00 pm at 194-09 Linden Blvd, St. Albans, NY 11412. Contribution $35. Reservations are required as easels are limited. To RSVP please call 718-276-6215. 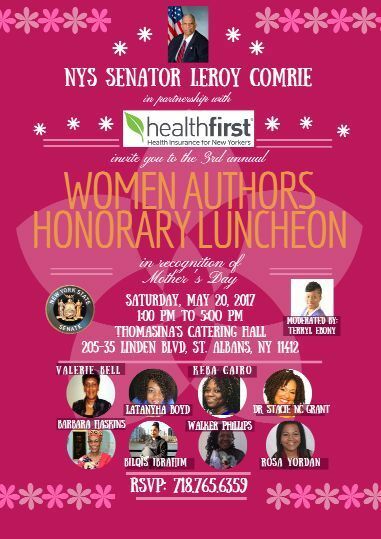 NYS Senator Leroy Comrie and Health First Invite You to the 3rd Annual Woman Authors Honorary Luncheon. This is in recognition of Mother's Day, but will be taking place next Saturday. Labels: Women's Authors Honorary Luncheon. 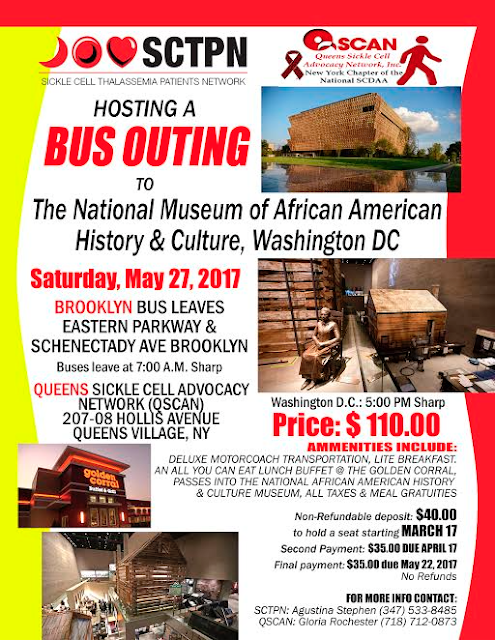 Bus outing to The National Museum of African American History & Culture in Washington DC. The Sickle Cell Thalassemia Patients Network, and the Queens Sickle Cell Advocacy Network, are pleased to host a bus outing to The National Museum of African American History & Culture in Washington DC. Bus leaves from Queens Sickle Cell Advisory Network. Ticket are $110, includes deluxe motor coach transportation, a lite breakfast, and an all you can eat lunch buffet. 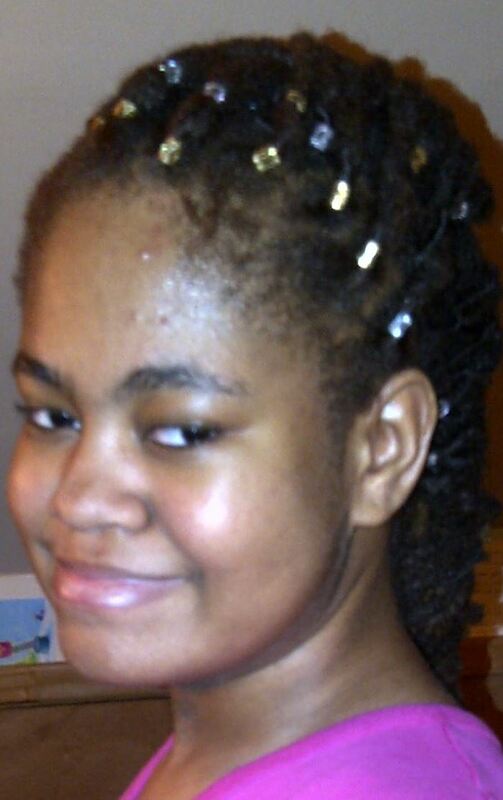 For additional information, call Gloria Rochester at (718) 712-0873. 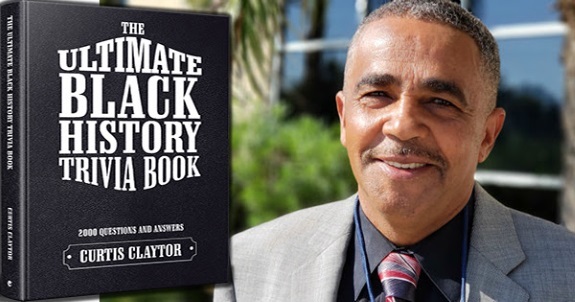 Labels: African American History and Culture in Washington D.C.
New York State Senator, Leroy Comrie’s office, has partnered with Brooklyn Legal Services Corporation to provide free foreclosure legal assistance to the people of the 14th District. He will be having these informative events on select Tuesdays from 2:00 pm to 5:00 pm at his district offices. For those of you who may be in the process or at risk of foreclosure, please reach out to Senator Comrie’s office to schedule a free and confidential consultation with a qualified attorney. Call (718) 765-6359 to schedule an appointment.